And the other card I worked on this weekend. I made some beautiful Oxide backgrounds in March when I was showing the gals some of my techniques. Finally using one of them... When I was making it, I saw right away I wanted it as a pond or marshy background. Love all the elements. 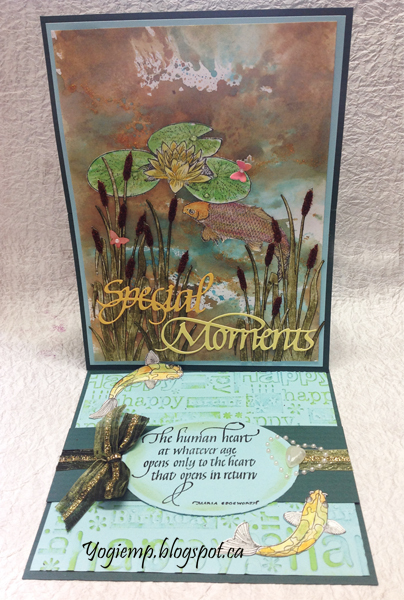 I'm also using a quote stamp from Quietfire Design "The Human Heart..."
Click on any card image to see all the details and descriptions etc. Enjoy. This card imparts such a feeling of peacefulness. Your background is a stellar oxide inks example. Wow! Love your easel card! Especially the fish scene you have created with all of your cutting and perfect placement. Thanks for sharing your talent at Penny's Paper Crafty Challenge! This is a stunning card !! 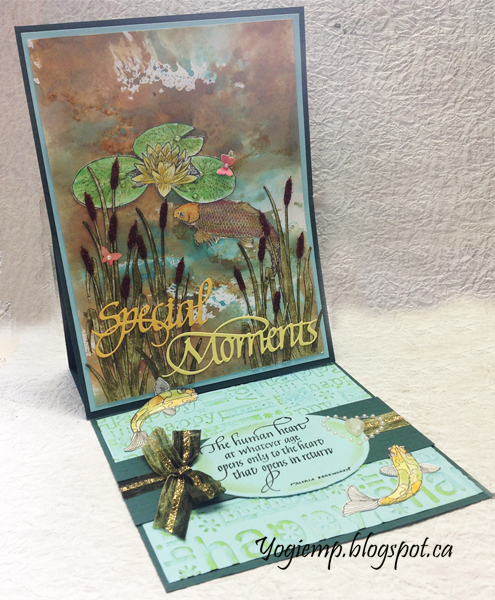 I love the peaceful scene that you’ve created - the background looks fab and the words are beautiful too! Thanks for joining us at MAWTT for our Butterflies challenge! Oh this is just stunning. I love the image and design. Beautiful card! I love the scene you've created. Great job. Thanks you for joining with us at The Corrosive Challenge. Good luck with your entry. Oh my goodness! your background and design are fabulous! !